In this guide I’ll show you the locations where you can apply for Texas TANF in Houston. 1.1 What Is Texas TANF? 1.2 What Do Families Buy With TANF Payments? 1.3 What Is The Difference Between TANF And Welfare? 1.4 Who Qualifies For Texas TANF? 1.5 What Are The Income Requirements For Texas TANF? 1.6 How Much Money Does Texas TANF Pay? 1.7 What Is One Time TANF ? 1.8 What Is One Time TANF (OTTANF) For Grandparents? First, off TANF stands for Temporary Assistance for Needy Families. It takes far too long to type that out so we’ll just refer to it as plain ole TANF from here on out. TANF is federally funded program that allows states like Texas to provide assistance to families. The Texas TANF program provides monthly payments to families to keep them out of any crisis situations. What Do Families Buy With TANF Payments? What Is The Difference Between TANF And Welfare? TANF is the new name for welfare. Welfare is an old school name that gets thrown around from time to time, but if you hear it know that TANF is the new name for that program. The welfare program provided cash payments, but recipients were not required to work or seek employment. TANF does provide monthly payments, however you are required to “work towards getting a job”. Whether this means you are employed, searching for a job or taking a training class for employment, you must be doing something “work related”. Who Qualifies For Texas TANF? What Are The Income Requirements For Texas TANF? Note: Add $43 for each additional person. How Much Money Does Texas TANF Pay? The table below gives you an idea of how much TANF pays per month. Note: Add $68 for each additional person. What Is One Time TANF ? One Time TANF (OTTANF) is a one time emergency payment of $1,000 to to families who are in a crisis. What Is One Time TANF (OTTANF) For Grandparents? In this program grandparents also receive a one time payment of $1,000. The different is there are different eligibility requirements and larger income limits for grandparents. If the grandparent’s income is equal to or less than the figures in the table below they could qualify for OTTANF. Online – Visit Your Texas Benefits to complete your TANF application online. Phone – To apply via phone contact 2-1-1 or call them toll-free at 1-877-541-7905. Texas Health and Human Services Commission Office – Visit any Houston area Texas Health and Human Services Commission Office (HHS) to pick up a Texas TANF application. If you like the idea of visiting an office to apply for TANF, this next will provide you with multiple locations who can help. The map above pinpoints locations where you can go to apply for TANF in Houston. Each location offers face to face assistance in applying for Medicaid, CHIP and SNAP. You are advised to call each before visiting as a walk in. In the sections below I will provide more information about each agency. Texas Health and Human Service Commission (THHS) is the first agency I will tell you about who can help you apply for TANF in Houston. THHS is the agency who manages TANF, as well as Medicaid, CHIP and SNAP. Note: Texas Health and Human Service Commission is the agency who decides if you qualify for welfare in Houston. Other agencies on this list can help you apply (fill out paperwork), but ultimately THHS determines who is eligible for services. 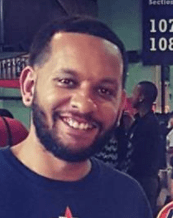 Double Note: If you have questions about the status of your TANF application those should go to Texas Health and Human Services Commission; EVEN if another agency helped you apply. Again they manage TANF benefits so other agencies are simply helping you submit your application to THHS. Call THHS at 877.541.7905. There are 16 Texas Health and Human Service Offices around the Houston area. Each THHS is staffed with employees who can assist you or your client with completing a Texas TANF application. A walk-in visit to a Texas Health and Human Services office will have you waiting for hours, so you are encouraged to contact them at 2-1-1 or 877.541.7905 to arrange an appointment. You can also complete your application over the phone by dialing those same numbers. If you are tech savvy, avoid the THHS and visit You Texas Benefits. There you can apply for benefits like TANF, Medicaid, CHIP and SNAP online. The City of Houston Health Department helps you apply for TANF in Houston at each of its 11 multi-service centers. Each multi-service center is staffed with a Client Access Specialist who can assist you with completing your Texas TANF application. Note: You are encouraged to call the appointment line at 832.393.5427 to schedule a sit down for help applying for Texas TANF benefits. In most cases City of Houston Health Department does not accept walk ins. You are welcome to stop by for questions, but as far as helping you with your application, you will need an appointment. In addition to the TANF benefits, the health department can assist you with applying for Medicaid, CHIP, SNAP and Texas Women’s Health Program. To schedule an appointment with a City of Houston Client Access Specialist contact the Houston Health Department appointment line at 832.393.5427. 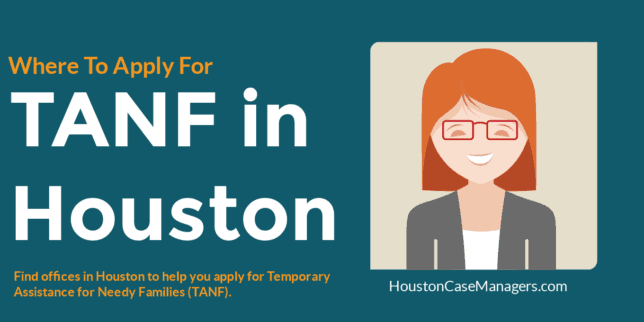 Family Houston is another option if you need to apply for TANF in Houston. They are partnered with Texas Health and Human Services meaning they can also help with Medicaid, CHIP and SNAP applications. Family Services is staffed by knowledgeable case managers who can answer any enrollment related questions you may have about Texas TANF. Contact them at 713.861.4849 to schedule your appointment. If you are capable and willing to working you may be able to earn some quick cash by working for a Houston staffing agency. Our guide titled How To Find A Job With Staffing Agencies In Houston is packed with 100s of staffing agencies. The allows you to find staffing agencies in Houston using a map or by industry (Medical Staffing, Oil and Gas Staffing, etc). No matter your location or industry, this give can help you find employment as long as you have a little hustle. The easiest way to apply for TANF in Houston is definitely by phone (877.541.7905) or online, however there are plenty of agencies to help you in person. If you lack a computer or simply feel more comfortable speaking with someone face to face visit any of the agencies above for assistance.